We provide a comprehensive range of pest control services in Cardiff, Newport ,Caerphilly and Gwent 24/7. Our staff are fully qualified to level 2 BPCA (British Pest Control Association), RSPH (Royal Society for Public Health) and are accredited to level 3 of the British Guild of Mole Catchers, with Martin Rathbone holding the title of Master Mole Catcher, one of only ten people to hold this title in the United Kingdom. Members of the BPCA and NPTA. We provide a fast, reliable and humane pest control service to residential and commercial properties. We will also undertake larger contracts. Surveys can be carried out to establish the extent and cause of the pest problem. All completed services are followed with a full written report of control. We are always available to new and potential clients on 01443 812959 or 07971 283929. We are here to help. 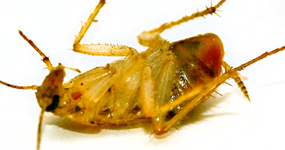 Rathbone Pest Control have the experience and professionalism to deal with your pest problem. When you call us you can rest assured we will get the job done. We provide a fast, reliable and humane pest control service to residential and commercial properties. We will also undertake larger contracts. Rathbone Pest Control is with Martin Baz Rathbone. Out early this morning, Molecatching at Manmoel. Rathbone Pest Control shared a post. Drain repair in the dark in Maesycwmmer. Asked to remove this wasp nest yesterday from a house in Ystrad Mynach. The new owners wanted to fit new insulation and came across it. Two year rat infestation in a very nice house in the Vale of Glamorgan today. Looked at the drains, found a hole into the cavity next to a rain water gully. Helped a lady who lives in Cardiff,she had rats in her house. 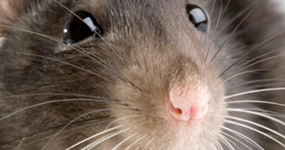 Rathbone Pest Control is fully insured and supported by industry experts. We have access to a specialized laboratory for further testing and analysis. All our services are conducted under safe and sensible use of pesticides.